The World Equine Veterinary Association (WEVA) came into being in May 1985 as a division of the World Veterinary Association. Dr.’s Rudolf E. Zeller (President) and Vernon Tharp (Secretary) were the founding Officers of the new association. WEVA’s first scientific meeting was held as a part of the 23rd World Veterinary Congress in Montreal, Canada in 1987. Dr. Robert Jack replaced Dr. Zeller as President. The next WEVA meetings were in 1989 (held in conjunction with the world famous Equitana Exposition) in Essen in Germany and Rio de Jankier in Brazil (again joining with the 24th WVA Congress) in 1991. The Officer team of WEVA was expanded in 1993 to include two Vice-Presidents; Dr’s Paul Sorel (France) and Peter Timoney (USA). 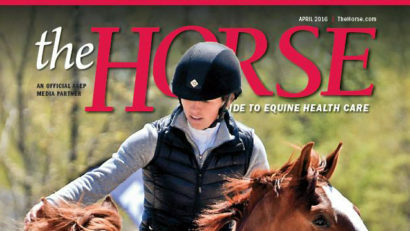 Dr. Alex Atock, the then Chief Veterinarian for the International Equestrian Federation – which is based in Switzerland, replaced Dr. Tharp as Association Secretary. 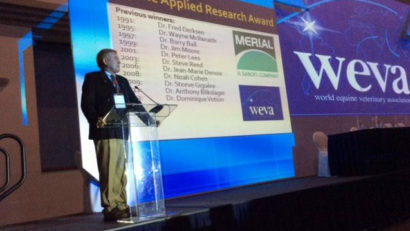 Dr. Tharp had made an immense contribution to the development of WEVA in his 8-year tenure as Secretary. WEVA joined with the 3rd Geneva Congress of Equine Medicine and Surgery for its 1993 meeting. Its Board was expanded to include Dr’s Peter Kallings (Sweden), Des Leadon (Ireland), John Lengel (USA), Pierre Lekeux (Belgium), Manuel Rodriguez (Spain), S.Varma (Kenya) and Tesuo Senta (Japan). Yokohama in Japan was the venue for the World Veterinary Congress in 1995 and WEVA held its next meeting as an integral part of the WVA program. Dr. Timoney then took over as President from Dr. Robert Jack. The Societa Italiana de Ippologica (SIDI) hosted the 6th WEVA Congress in Padua in Italy in 1997. WEVA then chose to leave the WVA umbrella, to become a “stand-alone” independent association and accepted an invitation from AVEF, (the French Equine Veterinary Association) to come to Paris for its Congress in October 1999. The WEVA Board decided to adopt a fixed term policy (2 x 4 year terms) for its members. Dr’s Warwick Bayly (USA – President) and Bill Jones (USA- Secretary/Treasurer) became the new Senior Officers and they were responsible for drafting the first Statutes of WEVA which had hitherto been reliant on those of WVA. These Statutes were presented to the WEVA Board at its 7th Congress in Sorrento in Italy, which was hosted by SIVE, the Societa Italiana Veterinari per Equini in October 2001. Des Leadon accepted the WEVA Board’s invitation to serve as its fifth President in 2002. The Statutes and the WEVA Mission Statement were revised to include the initiation of so called “Intermediate meetings” – intermediate in terms of timing i.e. between the dates of the bi-annual Congress renewals and intermediate in scope and content. WEVA sought to raise funds from the Congress to support the intermediate meeting program. The first series of intermediate meetings were initiated after the Sorrento Congress and between 2001 and 2003 these meetings were held in Moscow, Kiev, El Salvador and Beijing. 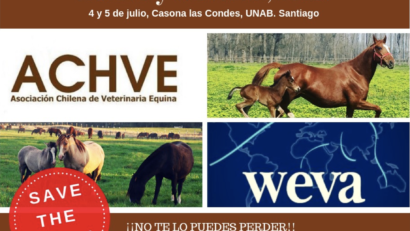 Argentina’s Asociacion Argentino de Veterinaria Equina (AAVE) hosted the 8th WEVA Congress in Buenos Aires in October 2003. This hugely well attended Congress was also where further revision of the Statutes was initiated and the intermediate meeting program for 2003 to 2005 included WEVA contributions to equine continuing education in India and Hungary. The 9th WEVA Congress was held in Marrakesh, Morocco in January 2006. The new Senior Officers were now Dr’s Richard Corde (France – President) and Gary Norwood (USA – Junior Vice-President). Dr.’s Julie Fjeldborg (Denmark) and Warwick Bayly (USA) were subsequently elected as Secretary and Treasurer, respectively. WEVA’s intermediate program venues were extended to include Bogota, Colombia and Chile between 2006 and 2007. The 10th WEVA Congress was hosted by the Russian Equine Veterinary Association in Moscow in January 2008. The 11th WEVA Congress was hosted by the Associação Brasileira de Médicos Veterinários de Eqüídeos (ABRAVEQ) in Brazil in September 2009. The 12th WEVA Congress was hosted by the Indian Association of Equine Practitioners (IAEP) in India in November 2011. The 13th WEVA Congress was hosted by the Hungarian Association of Equine Practitioners(HAEP) in Hungary in October 2013. The 14th WEVA Congress was hosted by Mexican Association of Equine Practitioners AMMVEE in Mexico in October 2015.